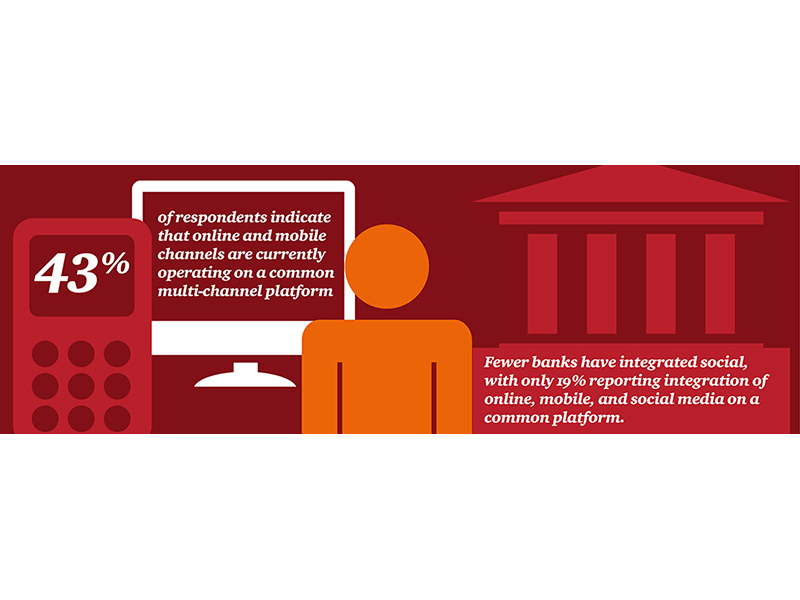 Thursday, April 24, 2014– Digital is undeniably everywhere, but according to PwC’s Global Digital Banking Survey, more needs to be done in the banking sector to improve customer interaction and to create an omnichannel experience. 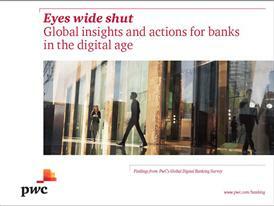 PwC’s Global Digital Banking Survey provides perspective on where banks stand today and how they view their goals and progress in the short term. Thirty per cent of respondents cite advancing customer experience as the most important factor driving their digital channels strategy for the next two years, second only to expanding market share. An omnichannel experience – allowing customers to interact with banks effortlessly across all channels regardless of transaction type – is another feature needed to progress consumers’ banking experience. However, less than half of survey respondents (43%) indicate that online and mobile channels are currently operating on a multi-channel platform. 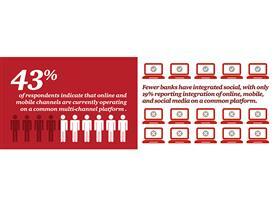 Fewer banks have integrated social media, with only 19% reporting combining online, mobile and social on a common platform. Customers use digital outlets for simple transactions, whereas branch visits are reserved for complicated transactions and problem resolution, according to the report. Siding with simplification – Banks have traditionally operated on core legacy banking systems that have led to complex application systems. 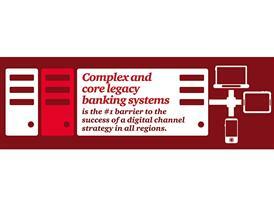 A complex banking system is the number one barrier to successful digital channel strategies. Simplifying the bank’s platforms can enable better functionality and improve experience across digital channels. Aligning goals – Less than half (49%) of respondents indicate that their digital strategy is either underdeveloped or fails to align with corporate strategy. Aligning business goals and digital strategy reflects leadership engagement – prompting cooperation and commitment at the top. Stepping up security – Nearly one-half (45%) of senior technology executive respondents see the need to secure data as chief among digital banking challenges. Building a CIO-centric collaboration culture from the top down to assess, design and initiate security assessments, programs and processes is key. Incorporating risk and compliance in the entire digital lifecycle is crucial. The survey finds AsiaPac well positioned in the digital space, with leading practices, top-down views and holistic approaches well underway. In contrast, digital discussions appear less often on European and North American board agendas, which increase the chances of misalignment between corporate and digital strategies. Recognising the potential of misalignment, European banks are pushing digital banking strategies for board approval. According to the survey, European banks are expected to make the most progress in their approach to digital channel strategy for mobile banking, social media and production co-creation. Despite spending the most on their information technology (IT) budgets, North American banks aren’t yet seeing corresponding results. AsiaPac and European banks are gaining more return on investment – a reflection of more advanced strategies that enable them to increase revenue with the budgets they have. 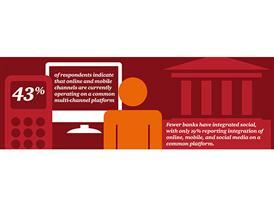 For more information on the Global Digital Banking Survey, please visit www.pwc.com/ciodigital​. 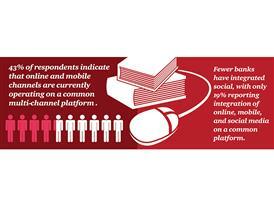 PwC’s Global Digital Banking Survey was conducted in the fall of 2013. 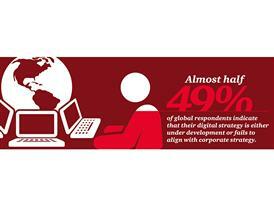 The global survey included 157 respondents across 14 markets. 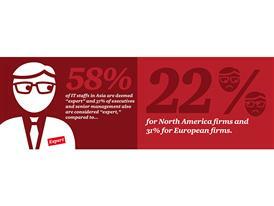 Approximately half (45%) of survey respondents were C-suite executives, such as CIO, CTO, and COO. The remainder were senior IT executives, heads of technology, or heads of IT. PwC helps organisations and individuals create the value they’re looking for. We’re a network of firms in 157 countries with more than 184,000 people who are committed to delivering quality in assurance, tax and advisory services. Tell us what matters to you and find out more by visiting us at www.pwc.com. 2014 PricewaterhouseCoopers. All rights reserved.